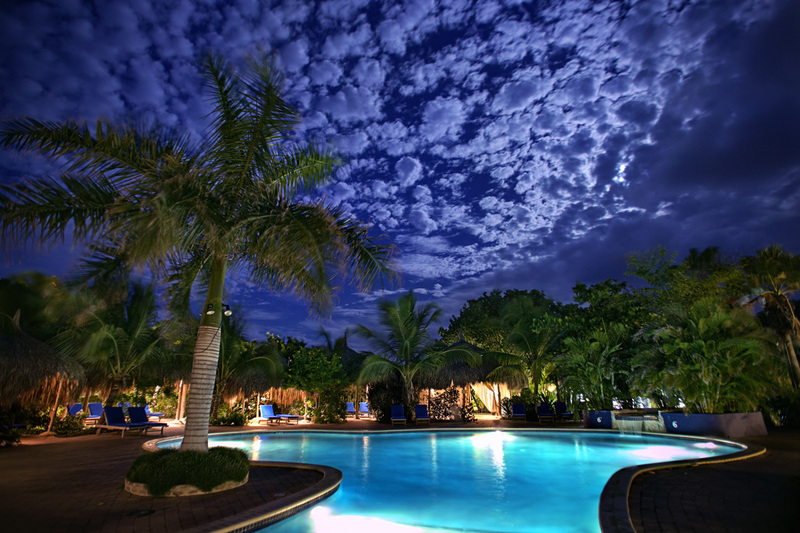 This nighttime HDR shot was taken from Lodge Kura Hulanda’s pool area. Lodge Kura Hulanda is one of the top resorts located in Curacao. The first day there I was able to get a beautiful sunset, and this gorgeous moonlit shot. My photographic journey in Curacoa started off pretty good. On a side note, this HDR photo was tone mapped in Photomatix using Exposure Fusion. I usually use Detail Enhancer, but I find that exposure fusion works best for nighttime photos, at least for me.